Our experienced, stable team know our clients and are dedicated to providing the best service possible. David qualified in 1988 and worked in a contact lens practice in London. He then managed practices in Australia and Zimbabwe before moving to the Wrexham area with his wife, Rachel, in 1995. 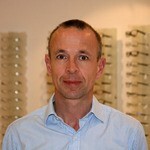 He took over Schwarz in 1999 and has worked with the staff to try and provide the best Optometry service in the area. David is accredited to perform WECS examinations, and holds the College of Optometrists Professional Certificate in Glaucoma. Alistair graduated from Cardiff University with a first class honours degree in Physics prior to obtaining his first class honours degree in Optometry in 2006. Since qualifying as an Optometrist, Alistair has worked full time at Schwarz. 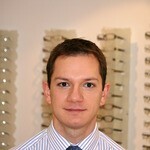 Alistair is WECS accredited, and holds the College of Optometrists Professional Certificate in Glaucoma. Amy graduated from Cardiff University in 2008, since qualifying she has worked in the Hospital Eye Service, and in the independent sector. She is WECS accredited. Amy moved to the area in 2013 to enjoy the countryside and the activities the region boasts. 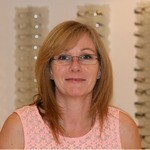 Sandra is our dispenser, with many years experience in the optics industry. 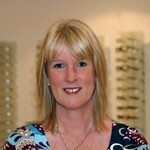 She joined Schwarz in 2003 and has excellent knowledge of dispensing spectacles. Yvonne is our full time receptionist and may be the friendly voice you hear when you call in. 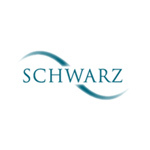 She began working for Schwarz in 2006 and is excellent organising our reception and carrying out visual field assessments.